Now even the most religiously devout Jews can surf the web. With some restrictions, of course. Some ultra-religious Jews may not be permitted to google, but they can koogle all they want. The new search engine (which plays on the Jewish noodle dish, kugel) places restrictions on what sites can be accessed and what activities the user can engage in -- standards that seem to please Orthodox rabbis. 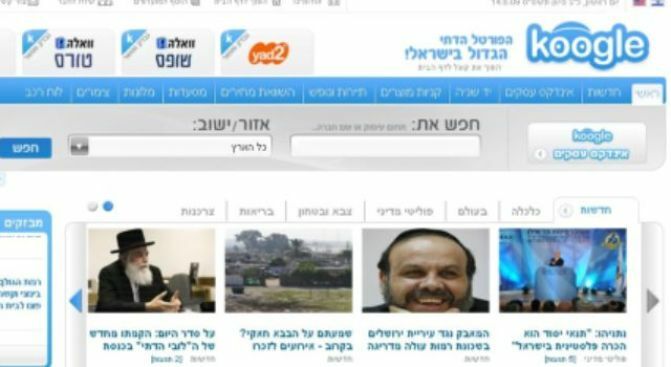 "This is a kosher alternative for ultra-Orthodox Jews," site manager Yossi Altman told Reuters by telephone, "So that they may surf the Internet." Unlike more traditional search engines, koogle weeds out religiously objectionable material, like immodest photos of women. Also, it blocks users from shopping online or posting content during the Jewish Sabbath, when such behavior is considered a no-no. Other blocked sites include stores that sell items that are prohibited from the homes of the ultra-religious, including TVs. But, if you're hoping to give koogle a taste, you'd better brush up on your Hebrew. The site is not accessible in English.